In the study twelve men undertook three weeks of exhaustive HIIT (high intensity interval training), consisting of 6-7 bouts of 20-second cycling on a leg ergometer at an intensity of 170% maximal oxygen uptake (VO2max) with a 10-second rest between each bout, for 3 days a week. 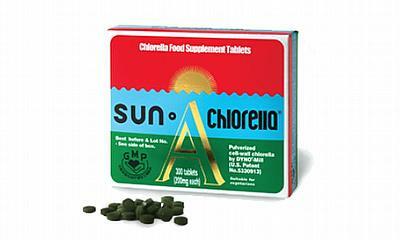 The men orally took chlorella or a placebo after breakfast and dinner in a double-blind, randomized, crossover design (a thorough type of study, where everyone takes both a placebo and the product being tested). VO2max was measured as an indicator of aerobic capacity (the maximum amount of oxygen a person can use - the higher the value the longer the amount of time until they get fatigued) and maximal oxygen deficit (MOD) as an indicator of anaerobic capacity (the total amount of energy that can be obtained without the use of oxygen – a measure of short term exercise capability, such as sprinting). Whilst this study only used a very small number of subjects, it comes on the back of other studies2,3 which show similar findings and adds to the growing evidence that this unusual algae supplement could help accelerate the benefits of training.